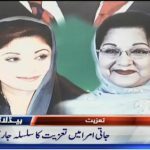 Former first lady Begum Kulsoom Nawaz was laid to rest at her family’s Jati Umra estate on Friday after a funeral prayer attended by hundreds of thousands of people, including leaders of ruling and opposition parties and workers of Pakistan Muslim League-Nawaz. 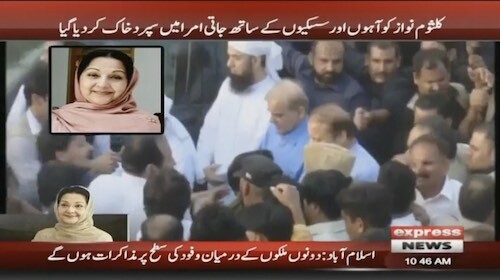 The prayer was led by Tableegi Jamaat’s Maulana Tariq Jameel, who was driven to the venue, Sharif Medical Complex, by former Prime Minister Nawaz Sharif, who along with his daughter Maryam Nawaz and son-in-law Captain (retd) Safdar have been released from Adiala Jail on parole to join Begum Kulsoom’s burial rites. 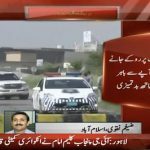 Nawaz’s younger brother and PML-N president Shehbaz Sharif also came in the same car. 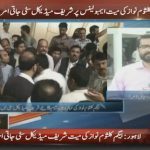 In view of the large number of people gathering for the prayers, Tariq Jameel stepped out of the car and led the prayer standing next to the door, as the Sharif brothers stood behind him, in the first row.